Paperchase are doing their bit for charity! 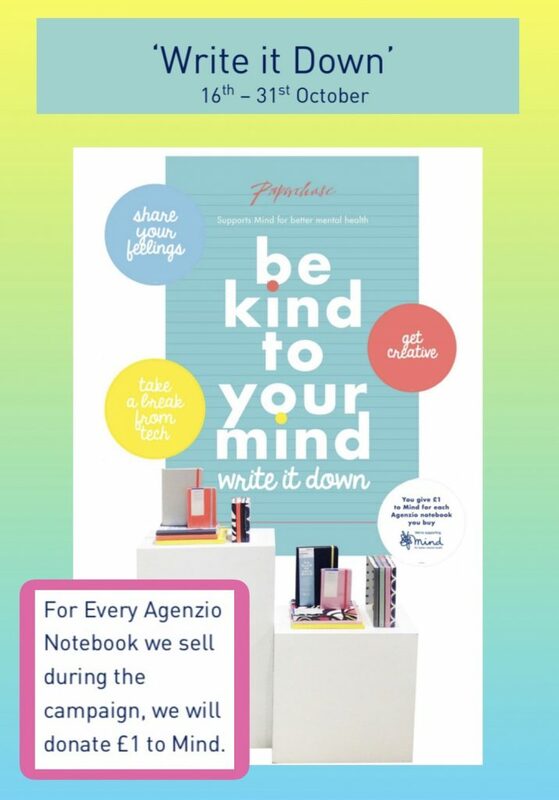 Between the 16th and 31st October they will be donating £1 for every Agenzio Notebook sold to Mind charity. It helps to write it down.